CATFISH PLATES – FRIDAY, OCTOBER 16 AT SUNRISE B.C. 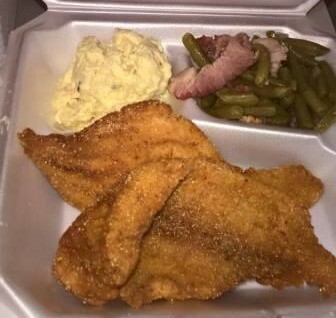 Come out on Friday, October 16 and enjoy a delicious catfish plate – catfish, green beans, cake, potato salad and bread. The Church Anniversary Committee is sponsoring this fish fry from 10 a.m. to 2 p.m. at the Church. The Committee will deliver to anyone with five (5) or more plate orders. Donation $8.00. Be sure to tell your family and friends all about it!